(b. 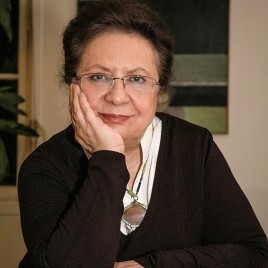 1939) – Iranian novelist and prose writer. Just before the outbreak of the Iranian Revolution she emigrated permanently to Paris, but she visits the country of her birth year after year. She authored a dozen or so collections of short stories and two novels. Translated into English and French.